From history buffs to those who just want to relax and soak up the sun, Costa Cruises' latest promotion is ideal for anyone who is ready for a break this summer. Costa is offering cruise fares as low as $599 per person on interior cabins and reduced rates for third and fourth guests on six July and August Costa Classica sailings. The 53,000-ton, 1,300-guest Costa Classica will be sailing seven-night eastern Mediterranean cruises departing from Rhodes, Greece, July 17, 24 and 31, and Heraklion, Greece, July 18 and 25, and Aug. 1. 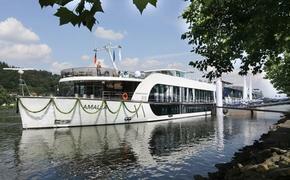 The weeklong cruises include calls at Mykonos, Santorini, Samos and Kos, Greece; and Izmir, Turkey. "The eastern Mediterranean itineraries feature some of the most beautiful ports in the region and the easiest way to see them is on a cruise," said Scott Knutson, vice president, sales and marketing for Costa Cruises North America. "Our reduced rates make a family vacation to the Med an affordable option this summer with exciting activities and experiences for all generations both onboard and ashore." Guests can immerse themselves in history at the renowned archaeological site Knossos at Heraklion — thought to be Europe's oldest city — and the Agora at Izmir, the ancient market of Smyrna originally built for Alexander the Great and later rebuilt by Marcus Aurelius. Guests looking for summer fun in the sun can dive into the Potami Waterfalls at Samos, sunbathe on Tigaki Beach at Kos or snorkel at Kalithea Beach at Rhodes. Rates for interior cabins start at $599 on the July 17 sailing, $649 on the July 18 and 24 sailings, $699 on July 25, $749 on July 31 and $799 on Aug. 1. Discounted oceanview cabins are available on sailings beginning July 24 with rates starting at $949. Reduced fares for the third and fourth occupant in a room also are available on all six sailings with rates starting at $259 for children (ages 17 and under) and $359 for adults. All rates are per person, double occupancy and capacity controlled. 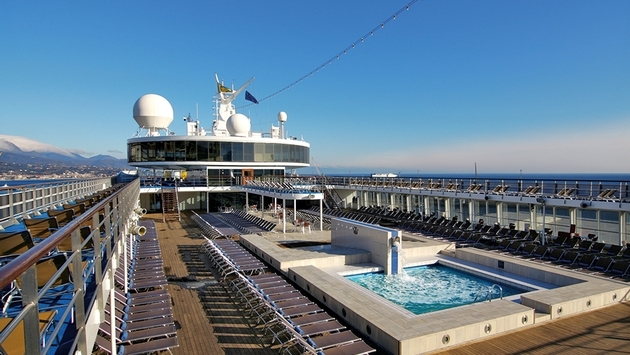 Costa Classica exudes Italian style and elegance. The ship features two swimming pools, two restaurants and seven bars, and the Galileo Disco offers 360-degree views, functioning as an observatory by day and dance club at night. Guests also can enjoy shows in the Colosseo Theater, play blackjack at the Sanremo Casino or get pampered at the Caracalla Spa. For reservations and more information on Costa's Costa Classica summer promotion, call your travel professional or 800-GO-COSTA, visit www.costacruises.com or check out the line's Facebook page at www.facebook.com/costacruises.na.